Ovation Global DMC is a Destination Management Company. We have been servicing associations, corporations and agencies in 100+ destinations throughout Europe, Middle East, Africa, Asia, North America and South America for more than 25 years. With our extensive local expertise, creativity and resources we specialise in designing and executing your event objectives from logistics to exclusive high-end programmes. Our company is often referred to as the meeting planner’s guardian angel, ensuring the highest standards of delivery and critical planning for success. People and relationships are in the DNA of our company. Through our openness, passion and expertise we make your vision a reality. We make it happen! At Ovation Global DMC we recognise our responsibility to protect and preserve the environment and support development in the locations in which we operate. We understand that not only do we need to “Make it Happen” for our clients but we should do so in a way that grows our business sustainably and responsibly by supporting communities and safeguarding the environment. Ovation does this through the products and services we offer, producing our events in an environmentally responsible manner and through our social responsibility programs that we offer our clients, helping improve lives for those in need around the world. Our dedicated sustainability experts and local office champions are not only creating value for our clients but also integrating social and environmental considerations into the day to day operational practices, policies, strategies and projects of our company. We use internationally created and consensus-based Sustainability standards and guidelines for our advanced clients to create truly leading sustainable events whilst ensuring all our suppliers are asked to sign our Ovation code of conduct and staff sign our code of business ethics and embrace our Sustainability Policy. Ovation Global DMC launched its Strategic Partner Programme in 2009. The Ovation Strategic Partner Programme was introduced to provide DMC services to corporate, association and agency clients at locations where Ovation does not have a wholly owned office. Ovation Strategic Partners are, typically, the leading DMC in a destination and are selected by Ovation according to strict criteria including industry reputation and legacy, health & safety, operational excellence and ability to deliver a truly insightful DMC service beyond mere logistics and tactical delivery. As industry leaders, Ovation Global DMC plays a key role in the meetings and events world. Several of our leaders are actively involved with many industry associations for the educational and networking benefits they offer. We benefit enormously from these partnerships and affiliations and we believe in giving back what we get out. Our membership and activity in and on behalf of these associations is a further indication of our international industry standing and reputation. Ovation people are members of associations including SITE, MPI, ISES, FICP and ICCA and serve at local, national and international level. On the global team alone, Ovation has provided three SITE Presidents over the years. Society of Incentive Travel Excellence, the international network of specialists in meetings and incentive travel. Ovation's is a Hospitality Partner member of the Education Committee of FICP, the association for meeting planners employed within the US and Canadian insurance and financial services industry. Numerous Ovation talents across the globe are members of MPI, Meeting Professionals International, the international association committed to education and training in the meetings industry. INCON is a dynamic partnership of leading companies providing Conference, Event and Destination Management expertise by combining global presence and local knowledge. 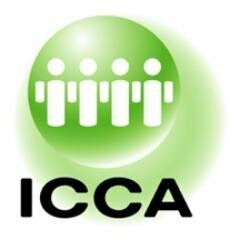 International Congress and Convention Association, the congress industry's international marketing association.